As globalization continues to grow and the English language as the international language of communication continues to evolve, the need and demand for English teachers inevitably rises. In order to do meet these requirements successfully, International TEFL Teacher Training has raised the standards in the TEFL field. 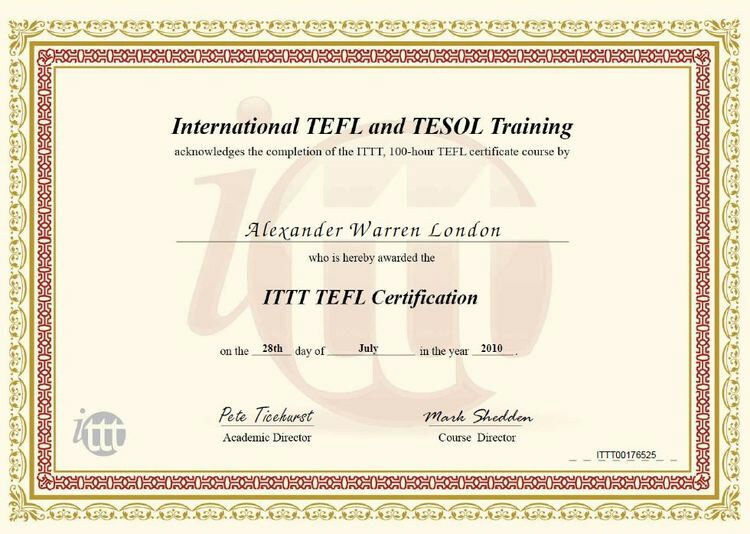 Since 1993 International TEFL Teacher Training has been the market leader in providing the highest quality TEFL training available. With thousands of graduates each year and our variety of available online, combined and in-class courses, we continue to develop and grow to maintain our position as one of the most highly regarded providers of TEFL training. Teaching English abroad teaches requires knowledge, and the skills and techniques required to convert this knowledge into practical teaching. Through the most up to date, relevant and comprehensive TEFL training available, ITTT will ensure that you more than meet the standards for working and teaching abroad. With a qualification from us, you have already taken one of the most important steps in your successful TEFL career. Here at ITTT we are well aware that receiving your TEFL qualification is only the first step in working abroad and that finding a suitable location and position amongst the worldwide opportunities can appear very daunting. For this reason, ITTT provides extensive job support and career assistance throughout and beyond your time with us. On an ongoing basis, at no extra cost, you will receive guidance, advice, tips and information that will make finding the perfect opportunity for you much easier. ITTT believe that providing this job service is a hugely important part of the service we provide, as it serves to ease the minds of our students. We consider this an integral part of our responsibilities, which is yet another factor of what makes us unique.